NEWPORT NEWS, Va., Dec. 29, 2009 -- Northrop Grumman Corporation (NYSE:NOC) delivered the sixth submarine of the Virginia class, New Mexico (SSN 779), to the U.S. Navy today, four months ahead of schedule. New Mexico's 70-month construction period represents the shortest overall construction time of any Virginia-class submarine. 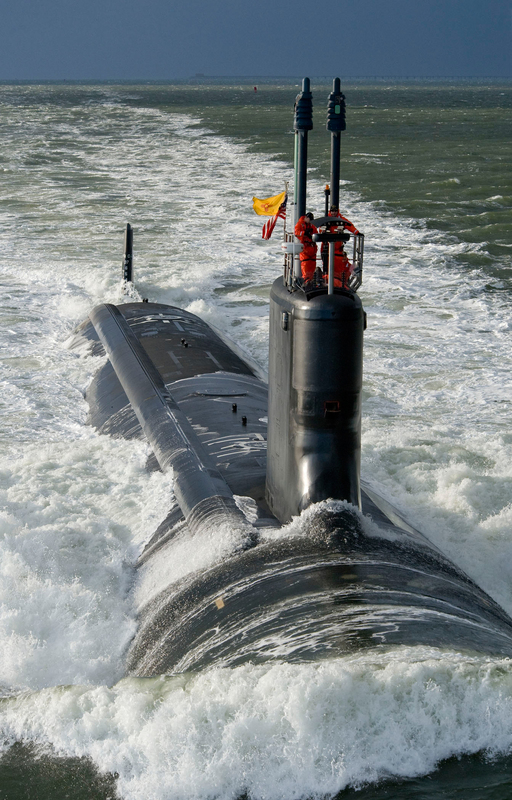 "New Mexico's delivery is a reflection of the commitment, dedication and hard work of the shipbuilders at Newport News, our Electric Boat partners and the Navy," said Becky Stewart, vice president for Northrop Grumman Shipbuilding's submarine program. "We delivered her in record time, using one million fewer man-hours than her predecessor USS North Carolina (SSN 777). Our shipbuilders are focused on meeting safety, quality, cost and schedule commitments. The progress we've made in the Virginia-class submarine program demonstrates their personal ownership in building the finest submarines in the world." The keel for New Mexico was authenticated April 12, 2008, and the ship was christened on Dec. 13, 2008. New Mexico, named for "The Land of Enchantment," is the most modern and sophisticated attack submarine in the world, providing undersea supremacy well into the 21st century. Northrop Grumman Shipbuilding is teamed with General Dynamics Electric Boat to build the first 18 ships of the Virginia class. Current plans call for 30 Virginia-class submarines in the fleet. Using millions of parts from over 4,000 suppliers in 47 states and the District of Columbia, Virginia-class submarines incorporate dozens of new technologies and innovations and are the first major combatants designed with the post-Cold War security environment in mind. For more information about the New Mexico, please visit http://www.sb.northropgrumman.com/vcs/ .